Having directed the huge 2009 hit “The Girl With the Dragon Tattoo“, Neils Arden Oplev made an interesting decision. He stepped away. The film broke box office records, but Oplev was in no rush to get behind a film camera again, instead working some in television. 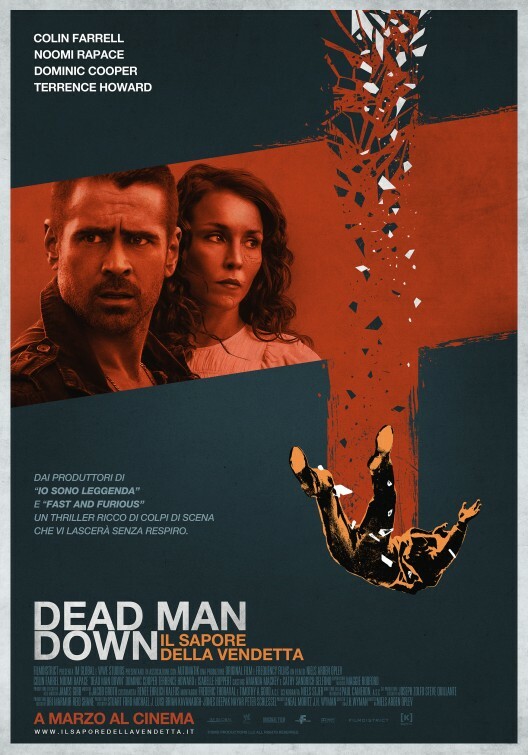 He’s finally returned to movies, coming back in strong fashion with “Dead Man Down”. 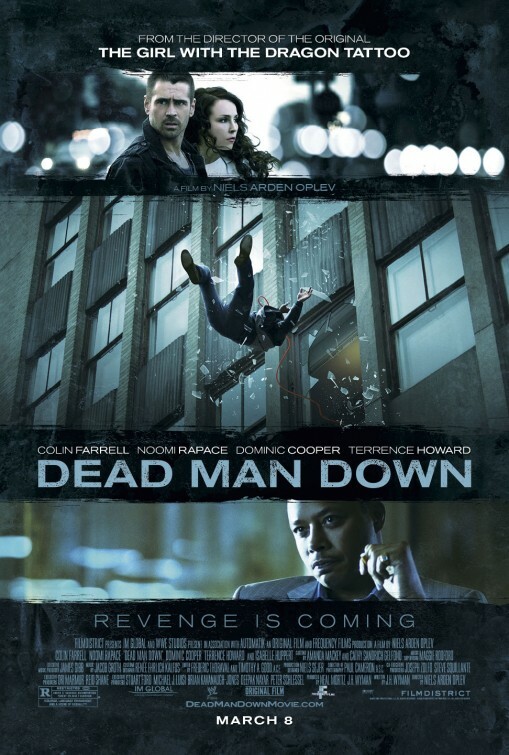 Having infiltrated a small-time but growing criminal empire, Victor (Colin Farrell) is a trusted member of a crew run by Alphonse Boyd (Terrence Howard). Alphonse’s crew is in trouble though, one of his most trusted men having turned up. Clues are sent in the mail to Boyd, someone clearly intent on torturing him before unleashing their final attack. 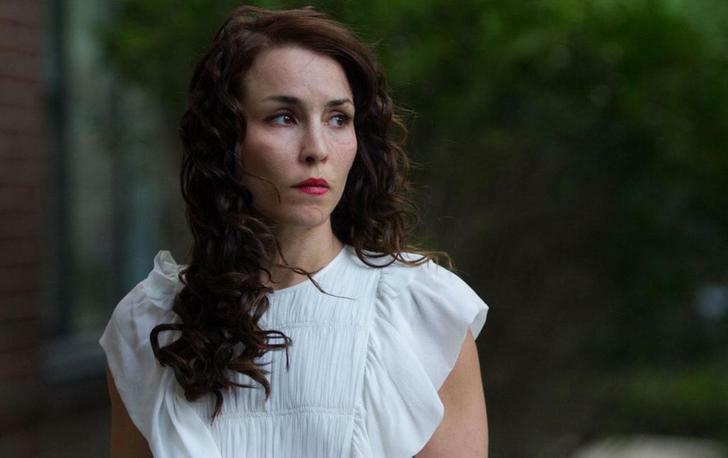 Living in the apartment building adjacent from his, Victor meets Beatrice (Noomi Rapace), a young woman still recovering from a horrific car accident — at the hands of a drunk driver — that left her with a heavily scarred face, even with plastic surgery. What seems like a potential friendship is something else though. 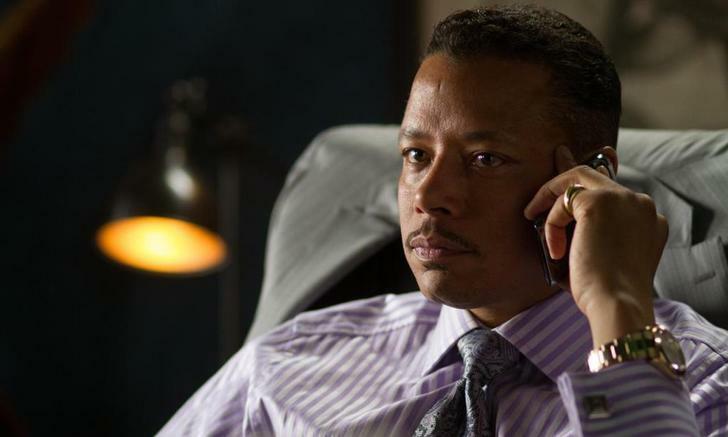 Beatrice saw Victor murder a man in his apartment and now intends to blackmail him with that information. In this case though, Beatrice may have stumbled into something far bigger than she intended. From director Oplev, ‘Dead’ was a real winner for me. Not surprisingly, it received pretty mixed to negative reviews and didn’t do much damage at the box office, earning about $18 million. I’m a big Colin Farrell fan though, and the trailer caught my eye in a big way. Add in my general gullible qualities when it comes to even remotely decent crime thrillers, and I must have been a fish waiting for a line in the water with this one. I liked it a lot, and for all the reasons a lot of critics/reviews didn’t. The story is convoluted and does depend on some rather crazy plot twists. As a positive though, much of the script from writer J.H. Wyman (showrunner for Fox’s “Fringe” television series) is a gem, filtering out little bits of information with each passing scene. In other words, pay attention to those first 45 minutes because very little is spelled out. It all comes together nicely, the momentum picking up at the 45-minute mark or so. What appealed to me most – along with the casting – was a reliance on style. The story is there (a must) and doesn’t disappoint, but it’s that brutally dark style incorporated by Oplev and cinematographer Paul Cameron. This is apparently a world without sunshine. The movie is filmed almost entirely at night and indoors in poorly lit rooms and apartments. When it does go out into the day, it’s always cloudy and gloomy, reflecting the general gloominess of the story and its characters. Add in Jacob Groth’s gloomy, trance-like score too for a nice touch. It’s a nasty world they’re living in, a dog eat dog world where everyone looks out for themselves first. Rapace’s Beatrice is constantly yelled at and insulted by a group of kids because of her scars. There’s gangsters, gangsters and more gangsters, all ready to dispatch each other with the slightest provocation. That general darkness in crime thrillers (in any movies really) has always appealed to me, and it’s handled nicely here. It seems there are die-hard fans of Colin Farrell and those that can’t stand him. Well, I come down in the diehard camp then. With just about every new part, I like him more and more. Even in average flicks like “Total Recall“, he’s a bright spot. How about a film with a good script and a good part for him? He isn’t going to disappoint too much. His character here as Victor reminded me in some ways of his part from “London Boulevard” (another film I thought didn’t get a fair shake), a tragic character who’s been down quite the path and is trying to right a wrong no matter how he can. Farrell is excellent at that tragic antihero, Victor’s backstory certainly putting him into that category. He does a lot without much in the way of dialogue, expressing a lot with a look here, a worried glance there, an intense outburst breaking the silence. In a very good movie all around, I thought Farrell was the best thing going here. Adding some depth to the character is Rapace’s similarly layered performance as Beatrice. The original Girl With the Dragon Tattoo, Rapace’s Beatrice enlists Victor to exact her own form of revenge but instead finds herself dealing with a similarly flawed, troubled individual. The dynamic between them is spot-on, underplayed nicely without going for any obvious genre conventions. Howard too is very good as Alphonse, a criminally smooth bad guy, Howard’s silky voice putting his victims at ease before he strikes. Dominic Cooper (“Captain America: The First Avenger“) is a scene-stealer as Darcy, Victor’s friend and a member of Alphonse’s crew trying to climb his way up. Also look for Isabelle Huppert as Beatrice’s worrying mother, an excellent F. Murray Abraham as a man from Victor’s past helping him out, James Biberi as Ibir, an Albanian gangster working with Alphonse, Armand Assante as a higher-up gangster disappointed in Alphonse, and Luis Da Silva Jr. as Terry, Alphonse’s right hand man. Because I do my best not to spoil new movies I really like, I’m trying not to reveal too many twists and turns here. If there’s flaws, they aren’t big enough to derail the movie. That’s part of the fun, going along with a story that slowly parcels out information with each passing scene. There is action, quick and hard-hitting but not overtly graphic, with the finale packing in an impressive, artsy shootout in a mansion packed with gangsters. I was worried about where the movie was leading, what kind of ending we were in store for, but it worked on just about every level I could think of. I liked the entire movie a whole lot. Well worth seeking it out.